When I was a kid, my dad would take me to the Grundy County Fair every summer. It was a small town festival, but full of fun rides, good music, and all the delicious fair food you could eat. My favorite treat of all was the old-fashioned kettle corn popcorn made right in one of those food carts and sold by the bagful. It's one of those tastes that can't be replicated by microwave popcorn or flavored powders... but I'm pretty sure I've mastered the flavor right on my stovetop. My kids love it, and it's the perfect alternative to the snack cakes that they want to eat. 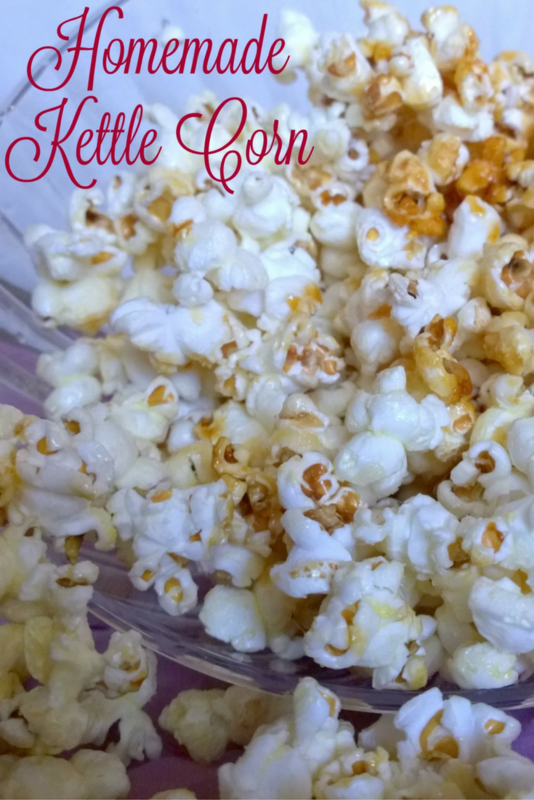 I love popping up some of this homemade kettle corn anytime I'm craving something sweet because it's a lot better for me than junk food. The best part is that it only takes about five minutes to make, and the recipe can be doubled or even tripled to make a tasty snack for the whole family! 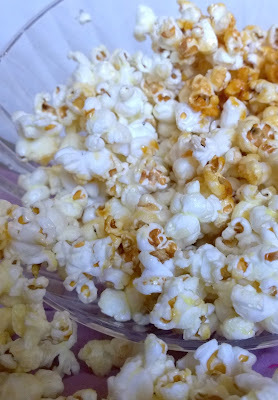 Delicious stove-popped popcorn with a sweet addition. Heat oil in heavy pot with 3 kernels. Once those kernels pop, add in the rest of the kernels and secure lid tightly. Shake pot often, and carefully add sugar when half of kernels are popped. Replace lid and continue popping until all kernels are popped. Remove from heat right away and pour into bowl. Sprinkle with salt and shake bowl or mix to prevent clumping.